Take your pick between three beautifully decorated guestrooms or one cozy cottage. Wake up each morning to deliciously prepared gourmet breakfast to jump start your day. Just stayed with us – sign our guest book, or read some of our past guest experiences. Originally built in the 1870’s this Historical Victorian home has been lovingly restored. All suites offer private baths and include chef prepared gourmet breakfast. Shopping, Dining, Art, Wine Tasting, Live Theatre, Water Sports, & Bike Trails. All within strolling distance. 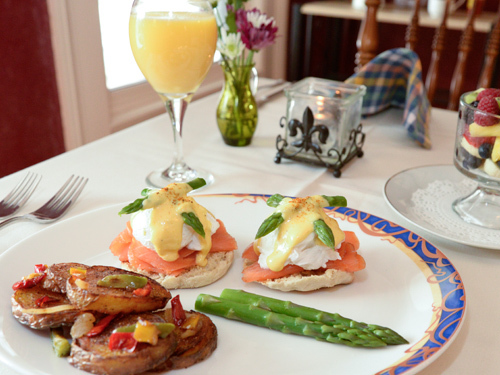 A fully licensed Bed and Breakfast in beautiful Saugatuck, Michigan, which has been featured in such publications as Life Magazine and The NY Times. 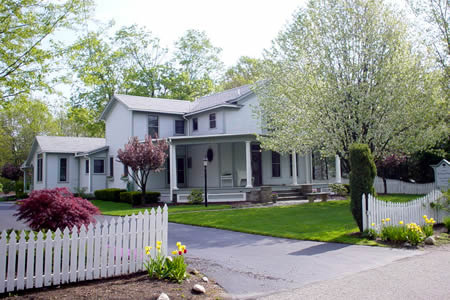 The only Bed and Breakfast in Saugatuck that is listed on both the State and National Historic Registers! We are conveniently located just a few short blocks from the bustling town center where you can spend the day browsing and antiquing through the many shops or take a break and relax on a short cruise on the Star of Saugatuck and see the town from the water. We are only 5 minutes from Lake Michigan and beautiful Oval Beach (which is named one of the top beaches in the country) and just a short drive away is the amazing Saugatuck Dunes State Park. At Beechwood Manor Inn Bed and Breakfast, you will find antiques, fire places, rockers on the wide veranda, air conditioning, and all the amenities to make your visit restful and relaxing. All of our Guestrooms are furnished with queen sized beds and full private bathrooms. You can take a look at all of the amenities we offer our guests. 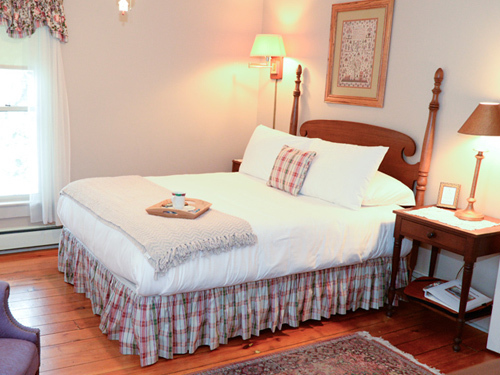 Also, be sure to check out our pet-friendly Cottage that sits on the same property as the Bed and Breakfast. The newly renovated Cottage is ideal for families traveling together or for those traveling with a small pet or for those who would just like that extra little bit of privacy. 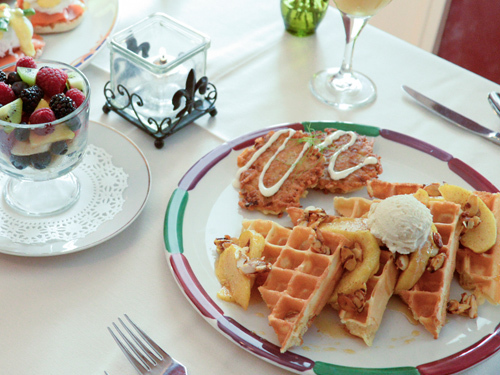 As one of the most historic homes in the area, visitors can experience a true “Saugatuck Bed and Breakfast”, waking up to an unforgettable breakfast after a restful night. With our “ideal location”, “gracious hospitality” and Innkeepers who have “perfected the exact balance between being helpful and present and being discretely in the background”, we invite you to come experience Beechwood Manor Inn and let us help you create the perfect getaway.